Affordable motoring with less polution is nearer to you. Find all UK filling stations. As well as LPG (or Autogas) you can also find Bio-Diesel filling stations and Electric Vehicle Charging stations (or EVC's) by postcode or town name. Download to your satellite navigation system. When you're out and about make sure you know where all the stations are by having them in your sat nav system. Don't forget to ensure you have the latest version by subscribing to our RSS feed. Thinking of having your vehicle converted to LPG? Find all the UK installers who are certified to undertake the conversion work for your vehicle. We've compiled a compete list just for you... and they're all really nice folks to talk about LPG matters with. Need to change your insurer? Looking for insurers who are LPG, Bio-Diesel or EVC friendly? Find them all here and find yourself some cheaper insurance. Save money, it all helps. 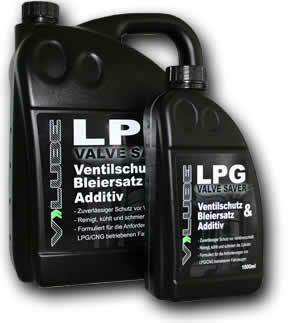 Protect your vehicle with the latest generation lubrication. Whether you already use a lubrication additive or you're simply thinking of doing so, we can wholly recommend V-Lube as the best. Bar non. And that's not just our opinion either. 1603 stations open. 205 installers. The utimate website for locating green fuel suppliers.